Many of us know that we are supposed to be drinking at least eight glasses of water a day, but have you ever thought about why? For a very simple compound with no colour, no taste, no odour or no nutritional value it is incredibly important. In fact, it is a substance we can’t live without. 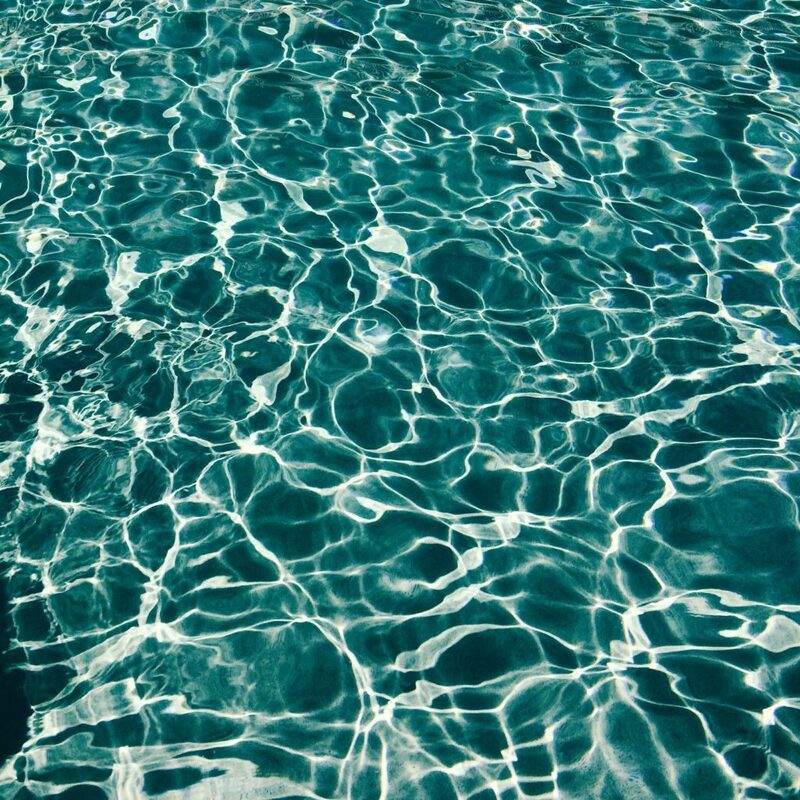 Water makes up to 75% of our body mass. In case you forgot your school science lessons, it is involved in almost every one of our bodily functions. From regulating temperature to assisting the life-sustaining chemical reactions that take place. This makes consuming enough of it every day crucial to good health. I know I should be drinking at least eight glasses through the day. Warning! Here comes a but, but it is an effort to drink those eight glasses. Then I go and read an article where some supermodel bragged about guzzling five litres a day. So how much should we drink? The British Dietetic Association assures us that for the average person consuming between 1.8 and 2.0 litres is the right amount. For my science nerd brain, I found an easy way to calculate this. Drink 1 ounce of water for every 2 pounds of your body weight. If I weigh 83kg that is about 184lbs, so for my bodyweight, I should drink 92 ounces of water each day. Or 2.6 litres. Did I nerd you out there? This intake should increase if it’s a hot day or if you are involved in physically strenuous activities. And you may even need to drink more during winter when central heating can dehydrate the body. A dry tongue or a parched throat was my old trigger to get a drink. Then I learned that these symptoms occur once dehydration has already started. We naturally lose water throughout the day. Through our sweat, respiration, bowel movements and urine. So we need to keep our water levels as constant as possible. Drinking at regular intervals ensures our body’s fluid balance stays healthy. Regular drinking of water brings some superficial benefits too. Hydrated skin is great skin. 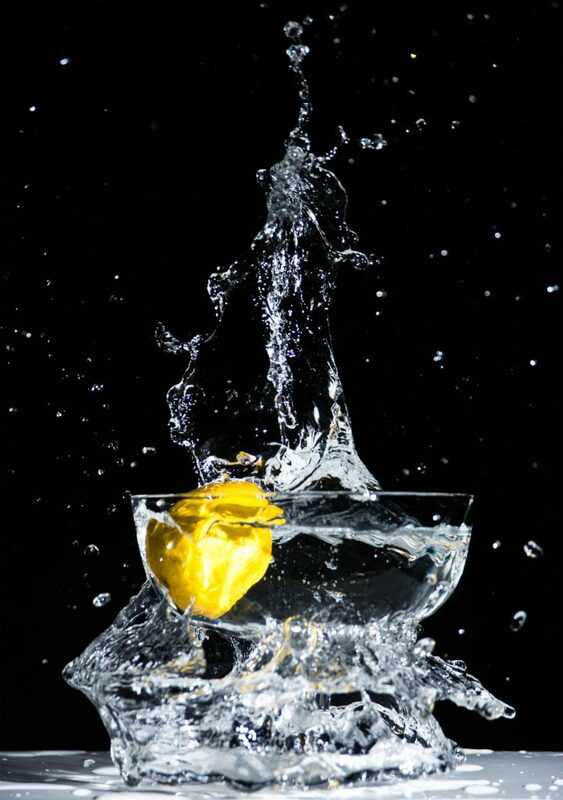 Include drinking water as part of your daily moisturising routine for a healthy complexion. It helps to maintain our skin because it works as our cells waste removal service. It clears away unhealthy toxins and pollutants that stop the cells from functioning at their best. The body’s energy production can only take place in a fluid environment. So drinking a glass of water can also make you feel more alert and energised. Water also works wonders for your digestive system. It acts with fibre to move everything through the system. Increasing your liquid intake and eating plenty of fibre will maintain an efficient digestive system. That will help prevent problems. Drinking enough water helps to lubricate your joints. Improves your circulation and aids the body’s absorption of essential nutrients. It can also contribute to weight loss if used as part of a healthy diet as it contains no calories. It can replace a snack in our attempt to feel ‘full’. Hmm. Is that why that supermodel drinks 5 litres a day? The body is quick to show us that it lacks water. In the past, I was guilty of missing these early warning signs. I mistook the headaches, fatigue, loss of concentration and irritability for other things. Chalking them up to hunger, a bad night’s sleep or even stress. A consistent failure to drink adequate amounts of this hydrating liquid can result in serious problems. A condition known as chronic severe dehydration. This causes the body cells to become weak and vulnerable to disease. There are many consequences of this condition. Some include high blood pressure, depression and dyspepsia. Colitis, back, neck and rheumatoid arthritis pain can also develop as a result. But how can we be sure we drinking enough of the stuff? There is a crude but useful answer. Do the urine test! Urine is a wondrous thing. Seriously! It tells us a tremendous amount about the state of hydration. As an absolute minimum, a healthy adult should produce urine in the volume of 0.5ml/kg/hour. But it isn’t just about volume, the colour of the urine tells us a lot. Your pee will be a pale straw colour when you are well hydrated. If it is dark (like the colour of apple juice), it is time to start drinking more water. The type of water you choose isn’t important. Drinking water of any kind is beneficial for most people. In these days of increased choice, not even water is as simple as it used to be. So here is a quick way to decipher the labelling. This is a legal term that ensures water comes from an identified and protected source. It’s guaranteed to contain a standard amount of minerals. Usually calcium, magnesium, sodium, potassium, chloride and fluoride. And is naturally occurring without treatment. Must also be from an underground source and be bottled at site. It may be treated to remove certain minerals and undesirable substances. Recycled water that has been treated with chlorine to remove bacteria and impurities. The quality of drinking water in England and Wales meets strict standards. Last year the drinking water inspectorate reported that 99.86% of more than 2 million tests met the standards required. 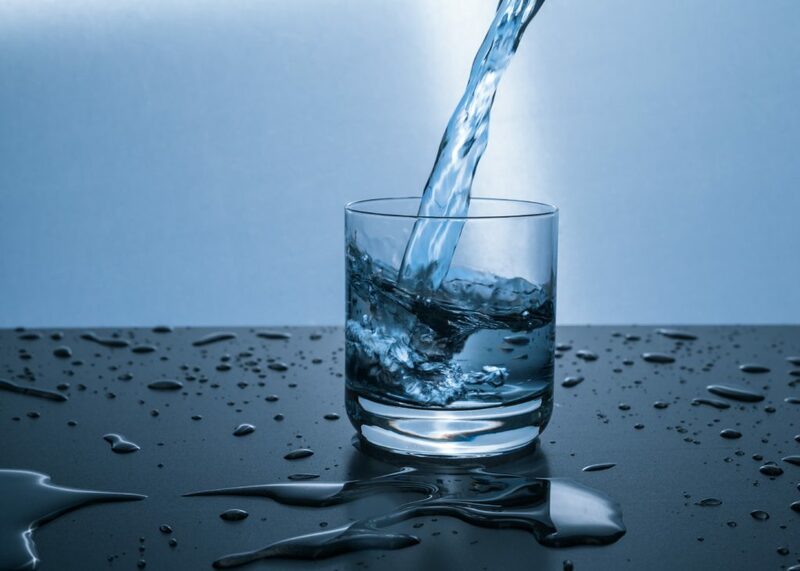 However, filtering tap water can improve its taste, smell and appearance. Usually no more than filtered tap water. However, you should drink liquids such as tea, coffee and energy drinks containing caffeine in moderation. They have a diuretic effect (make you pee) and do not count towards our daily target of two litres. There are tastier alternatives in case you get bored. You might like to try adding a twist of lemon or lime. Decaffeinated tea or coffee and fruit or herbal infusions are also pleasant substitutes. The foods we eat can provide a lot of moisture. Our digestive system absorbs liquid from the food that we eat. So increasing the amount of fruit and vegetables can support our increased daily intake of water. You train hard. You demand a lot of yourself, so you want to get the most out of your body. Adequate hydration means the difference between a great and mediocre performance. So, are you properly hydrated? It is the ideal fluid for hydration. Follow these tips, and keeping yourself properly hydrated should be easy. As little as 2% dehydration can start to hinder your body’s ability to perform. Two hours before exercise drink 0.5 litres. Ideally, we should weigh ourselves before and after working out. Then drink 1.5 litres for every kilogram of weight we have lost during that time. If you exercise for more than 60 minutes, sports drinks containing carbohydrate or electrolytes may be useful. They contain minerals such as sodium and potassium. These minerals help the body to absorb and retain fluid faster. You can use these drinks both during and following exercise. Sports drinks replace electrolytes lost through sweat, but they can be high in calories. Use them sparingly – especially if you are trying to lose weight. It is important that we get into healthy hydration habits. Drinking a glass of water each morning when we wake is a great start. I should have one before bed too but dislike getting up in the middle of the night to pee. I know it can be a struggle to keep up regular water consumption through the day. So now I put a 2-litre bottle on my desk in the morning and aim to finish it before leaving work. And take another one with me whenever I am travelling. Eating two to three servings of fruit and vegetables with every meal is an excellent way to hydrate. Most are packed with vitamins and minerals needed by the body and are loaded with water. My two areas for improvement are having a glass before each meal and having a drink after each trip to the bathroom. Drop a comment to let me know your areas of improvement are. Seems the right time to have a nice, cold glass of water and then get out there and be OUTSTANDING. Next What Makes An Outstanding Life?